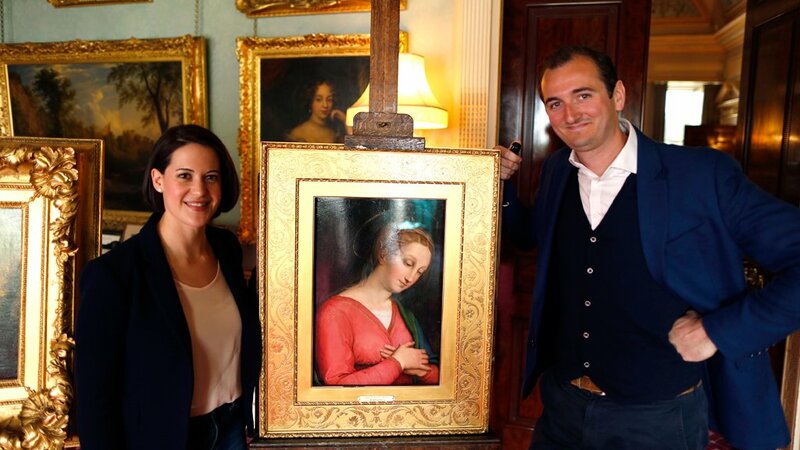 That’s right, at Haddo House, the Former nom of the Earls of Aberdeen, what is suspected to be a genuine unknown Raphael painting has been discovered. The pirating has been restored as part of the investigation, and much evidence points to it being the real deal. The Haddo Madonna however, as Dr. Grosvenor identified, is not a copy of any other known Raphael composition. Furthermore, close inspection of the painting revealed a ‘pentimento’, or alteration, in the Madonna’s right hand – a sign of original creative intervention. A crucial clue was the discovery of a related drawing by Raphael, which may have served as a preparatory study for the painting.